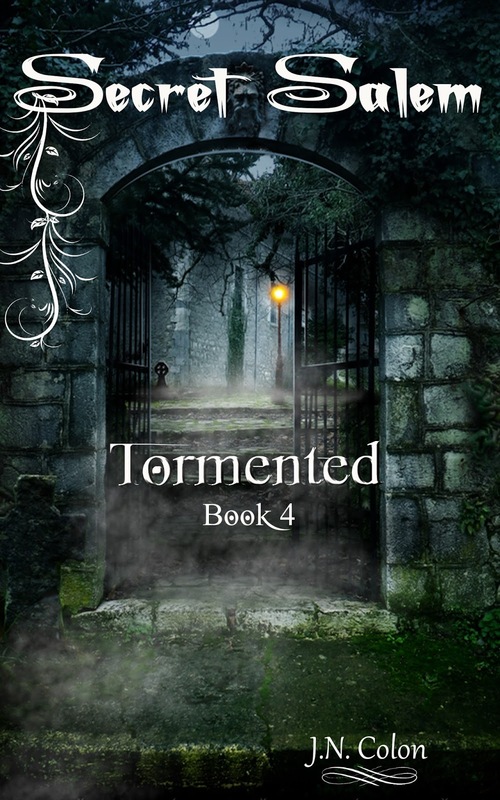 Secret Salem - Tormented will be released December 29, 2015. Conspiracy, murder, love, and war. It’s the final battle. Royal vampire couple Rubi and Mac have faced their share of enemies and they have always managed to come out winners. Until now. The hunters have the supernatural world in terror now that their poison has been completed and when tragedy shakes the whole of Whitmore’s kingdom Rubi is left with all eyes on her—and her royal title. Just when she thinks things couldn’t get worse, three vengeful ghosts begin to haunt her. But they aren’t the only ones putting her through hell. Those closest to her deliver Rubi the worst kind of torment—a torture she may never recover from. When the hunters zero in on the royal family an all-out battle ensues on the grounds of Highland Academy—where it all began. Enemies become allies and those who were trusted show their true colors. Will Rubi be able to regain the life she once had before the hunters kill her? Or will she lose the ultimate battle, forfeiting not only the crown, but also Mac in the process.